When I first heard the voice speak, I thought it was Benedict Cumerbatch. The actor has a bit of a history with the director, J.J. Abrams, as they worked together in Star Trek: Into Darkness. Cumberbatch was also rumored for a while to be involved in the project. I thought that if the voice was indeed his, then this would have been a perfect way to reveal his involvement in the film. Other theories were that it was Max von Sydow who is confirmed to be in the movie. I also pointed out that it was possible that they just got a voice actor to do narration for the trailer. The other possibility was that the voice belonged to Andy Serkis, who was confirmed to be in the film. It seems, if recent reports turn out to be true, that the latter is correct. Here's the least exciting possibility: They wanted a evil voice for the trailer and knew that Serkis could do it so they had him record it. Here's the second least exciting possibility: The narration has nothing to do with the movie and was spoken just for the trailer, despite coming from Serkis' character. Here's the more exciting and hopefully true possibility: Serkis is the villain of the movie and the narration is directly from the movie. Let's go with the possibility that Serkis is, in fact, the villain of the movie. Could he be the person with the new lightsaber. I think it's definitely possible. I've always thought that the voice of the narration belonged to the character pictured above. It's possible that it doesn't but that's been my theory. 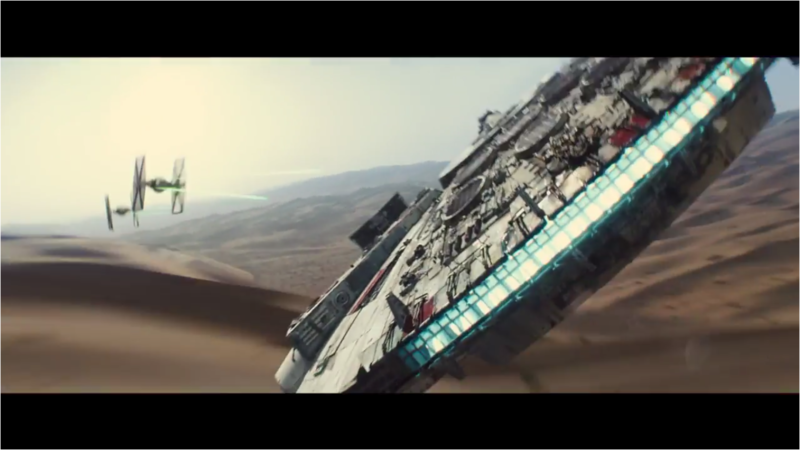 And if this is actually a shot of Serkis, then I think this is going to be one awesome ride. While Serkis has been getting into pretty much every franchise out there (The Lord of the Rings, Planet of the Apes. The Avengers, The Jungle Book, Tin Tin, Star Wars), he is still, in my opinion, a very underrated actor. He is unbelievably talented and, despite being involved in all these franchises, Hollywood has yet to truly recognize his talents. When I heard Serkis was going to be in The Force Awakens, I thought he would have a minor role. Not a cameo, but a smaller role. I didn't think he would be a main character or even the villain. I just didn't. But I am praying now to every god in existence and some that are not, that Andy Serkis is playing the main villain of the film. He could potentially be the Darth Sidious of the new trilogy. Being the puppet master behind the scenes who manipulates the events of the movie. 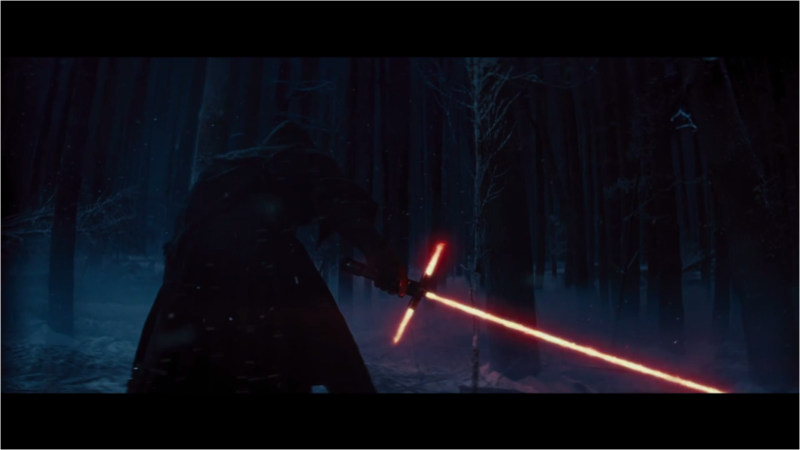 This could be the truth, since lots of people are thinking Adam Driver is the villain of the movie. If that is true, then Serkis could be the guy behind the scenes and fully reveal himself in a later movie. Whether he's the villain of this film or the over-arching villain, Serkis would be brilliant as a Star Wars villain. There's still the possibility that Serkis is a good guy, but if the narration belongs to him, then it's hard to believe that. The voice sounded so evil and menacing that it would be hard to buy a good guy with that voice. 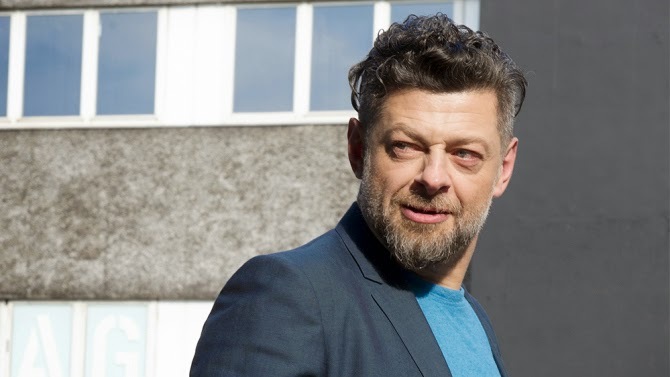 If I were to bet money, I think Serkis will play a villain. What do you think? Does the narrator's voice belong to Andy Serkis? Is he a hero or a villain? Could he be the mastermind behind this new trilogy? Leave your thoughts in the comments section below.